After the 2016 presidential election, I wrote my first Luminous Beings post on why Star Wars matters now more than ever. When I wrote that, Donald Trump wasn’t in office yet. It was a preamble to a story. It was an opening crawl. This post is the first act. At this point we’ve all heard about the similarities between our current political situation and the Star Wars story line. The emperor is in charge, nazi-inspired propaganda is all over the place, the queen is pregnant with twins. But that’s not just true of Star Wars. Comparisons are being made between where we are now and Harry Potter, Star Trek, MCU and so many other fandom favorites. Why? Because we’ve been fighting this battle against fascism, racism, and oppression this entire time. Not only in our national history but in our fiction. It’s a topic we as Americans in particular are obsessed with. I think this is because we’ve played both the aggressor and the hero. The threat to freedom and the savior of it. But this is a Star Wars column so let’s talk about how Star Wars has played a role since Trump took office. One of the most common terms being tossed around in protests and activism is #resist. 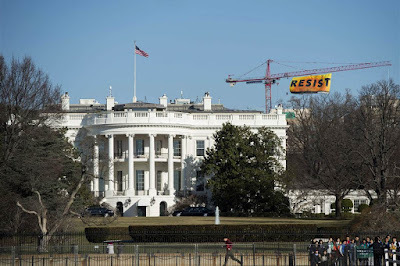 Hell, Greenpeace unfurled a giant banner with the word printed on it just a few blocks behind the White House. Imagine him trying to tear it down with his tiny hands. The collective group of rebels waging war against the empire's spawn, The First Order in Episode VII is called The Resistance. 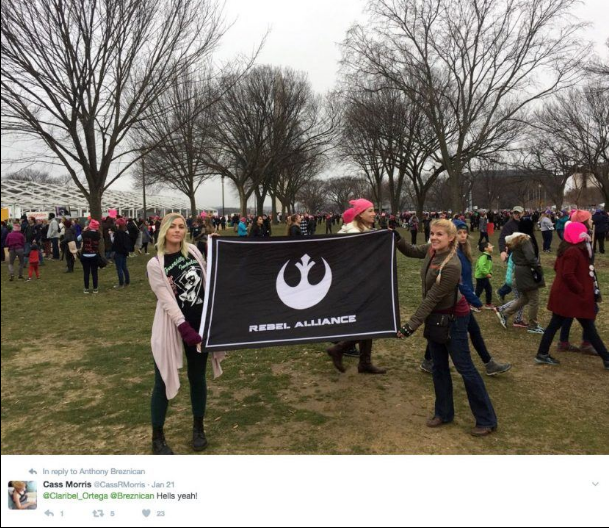 It didn’t take long at all for protesters to adopt Star Wars images and concepts and use them activism. We’re seeing the Rebel Alliance logo pop up everywhere and the whole concept of The Empire is taking on a brand new life. The Women’s March has been said to have been the largest act of protest across the world. Cities from all over the planet participated in these demonstrations and it was beautiful. Not too long ago, we lost our princess and our general but she was there too. 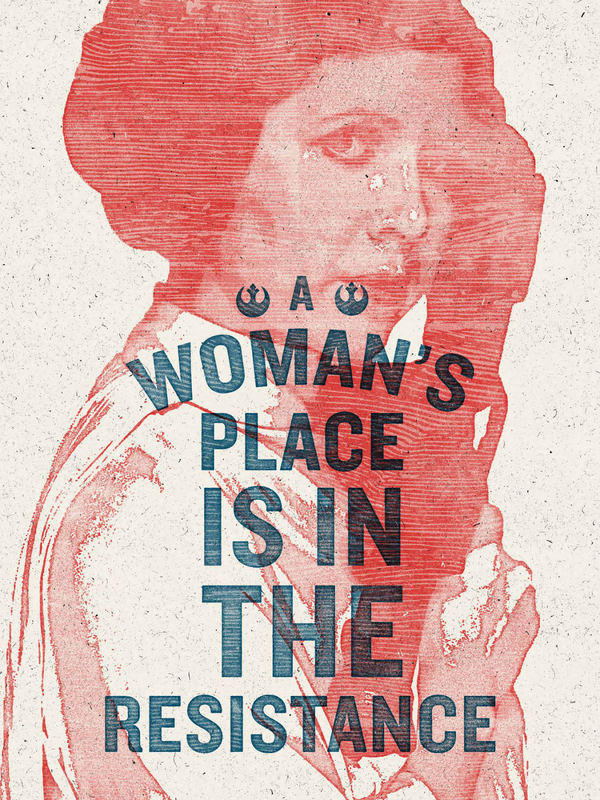 Just as Princess Leia became an icon of female leadership and heroism, Carrie Fisher herself was an activist. 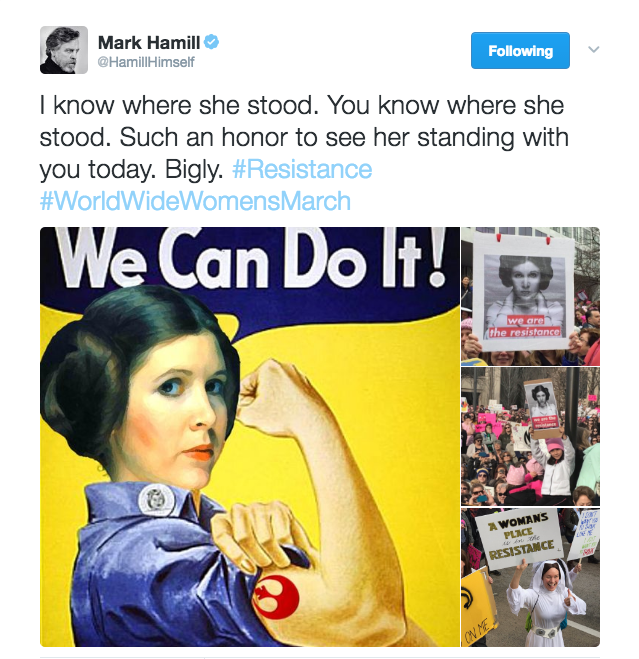 Our very own Luke Skywalker tweeted about her presence at the Women’s March. Rogue One, the highly anticipated prequel to A New Hope, came out mid December. Right after the election, right before inauguration. What a perfect moment in history to release a film about resistance and fighting back against a dangerous and oppressive authority. Not to mention the highly diverse cast, further equating the Rebel Alliance to the current opposition of Trump’s leadership. A group of immigrants and women take on a highly organized battalion of white men. Perfection. Rogue One injected our popular culture with a shot of pure adrenaline right before we’d need it the most. Rogue One was our pep talk for resistance before we even knew how badly we would need it. It’s incredibly relevant in today’s atmosphere, and I couldn’t be more grateful. Star Wars will no doubt continue to be a source of inspiration and comparison as we move onto the next film in the new trilogy, The Last Jedi. This December we will return to Rey, Poe, and Finn and watch them figure out how to take down this brand new faction of fascism. They are our fictitious counterparts, telling the story of our fight congruently. At the end of the day, real people are suffering and it’s important we don’t lose sight of that in light of something trivial, like a movie franchise. I’m not saying Star Wars is as important as listening to the voices as those who are marginalized. 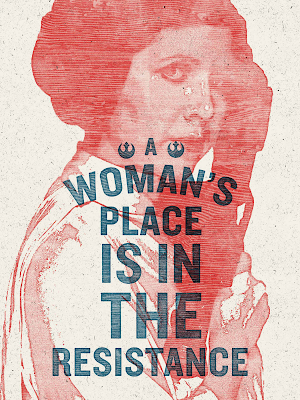 I’m not saying you have to love Star Wars to be able to participate in political activism. But if Star Wars is something you do love, let it be your battle cry. Popular Culture isn’t just here to distract you from reality, it’s here to help you find a way to engage with it. I am beyond excited to see the iconography and concepts of my oldest fandom being appropriated into a very real movement in our country’s history. 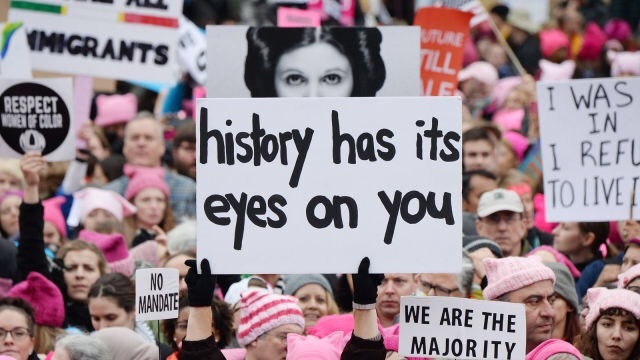 How has Star Wars, or any other fandom, helped you engage in activism?